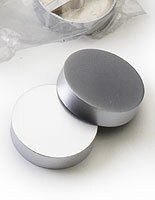 These sign standoffs are best sellers! 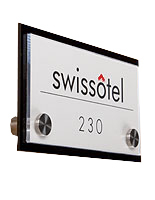 These quality devices attach messaging to a wall, door, and other surfaces. 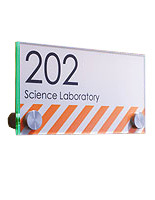 Used for office displays around the country to highlight important messages, these image fixtures are among our most popular! 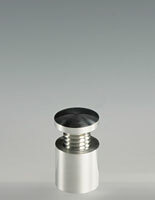 These hanging supports that have a chrome or satin look are top sellers. 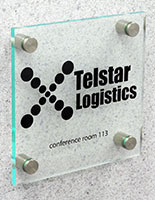 Some of these sign standoffs, mounting fixtures provide you with the opportunity to display your own graphics! 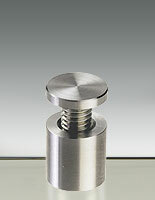 Other best selling wall mounts, also known as brackets offer easy-open quick clip mechanisms. 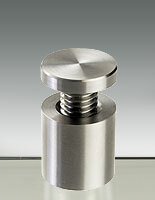 These fixtures are easy to mount and a pleasure to view. Each standoff makes a noticeable, low profile impression that draws attention to your images. 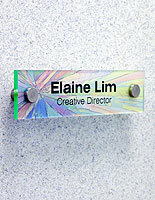 The mounts are great for promotional ID's on a door to show employees you appreciate their hard work. 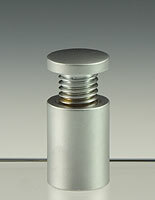 These sign standoffs are easily tightened with caps that twist and are meant in some cases to be screwed right through to the mounting surface for a decidedly modern look. These wall hanging units announce and sell your brand. 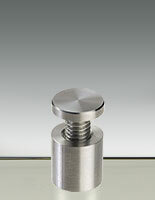 Available materials and finishes include durable machined aluminum, stainless steel, and solid brass, with chrome, satin silver, or brass finish. 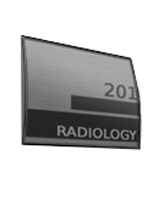 These bracket supports enhance any professional environment. 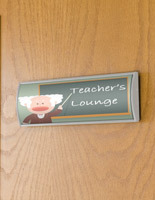 Some of these sign standoffs can be used inside or outside! 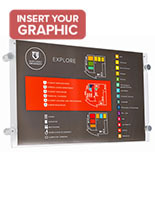 These mounts convey messaging simply and with elegance. Advertising has never been so easy than with these functional and stylish office tools! Where can these accessories be used? Wherever a message or credential needs prominence! Make a huge impact without a big cash outlay. 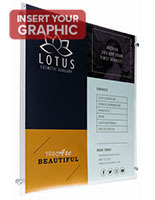 These hardware kits give your images and text a 3-D appearance that is eye catching! 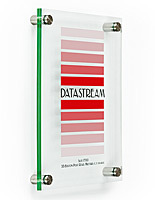 Create uniformity in your organization by mounting all of your plaques with these display tools, all in the same style. These supports are favorite by designers, plaque installers and architects. 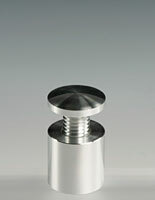 Among our most elite offerings for a door, wall or desk, these items are also straightforward and hassle-free! 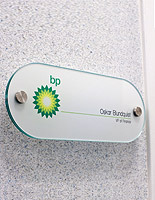 Advertise sales, logos, and branding messages with hanging message holders. 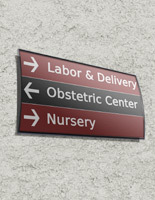 Advertisements for interior or exterior walls fit large and small message panels. 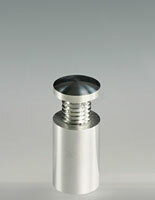 We have an array of styles available on this website. 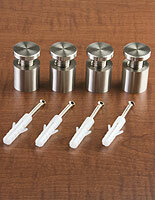 Built with a sleek appearance, these wall hanging tools are also strong and engineered to last!